There’s stupid, and then there’s this. On Friday, the official Twitter account for the Georgia Democratic Party called on the FBI and the Department of Homeland Security to launch an investigation of Governor-elect Brian Kemp. So what aspect of the governor-elect’s affairs is the party most interested in investigating? His finances? Some perceived electoral irregularity that gave him an unfair advantage over challenger Stacey Abrams, who claimed after the election that a poll worker had tried to prevent her from voting? Nope. The Dems want the feds to look into Kemp’s wardrobe. No kidding! 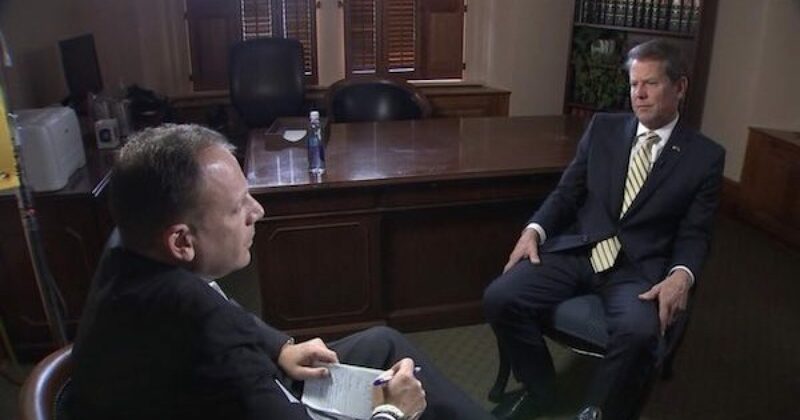 Twitchy speculated that it may be because Kemp’s jacket was buttoned during the interview in question. This doesn’t appear to be a parody account. But let’s face it: The Democrats have become a parody unto themselves. For what? Buttoning his jacket? When you sit down you unbutton your jacket. I learned this when I was 18. Fashion crime for sure. Ok since this is cool, that means its ok for me to start making fun of that crazy congresswoman who wears sparkly cowboy hats right? I wouldn’t have a problem with that. 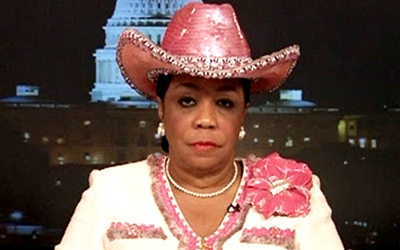 Make fun of Fredrika Wilson (D-FL) All you want. This, however, was a more appropriate response. BREAKING: Georgia Democrats Launch most disgusting sore loser campaign ever. Your socialist nutbag lost to a fashion goof.